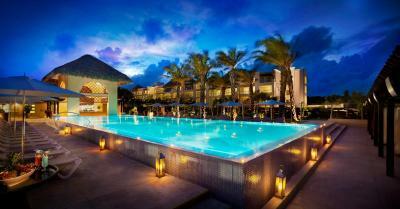 Lock in a great price for Hard Rock Hotel & Casino Punta Cana All Inclusive - rated 8.7 by recent guests. I loved the beach area and the staff there! Shout out to DORA FROM THE rock royalty level beach area. She will greet me every day and remembered what I had. I LOVE DOMINICANS!!! Not only was Dora attentive but was well mannered unlike a few others from staff around the hotel. She definitely deserves a raise and a promotion. SHE KNOWS HOW TO GIVE THE ROYAL TREATMENT. The beach was fantastic and the food at hotel was great. Great facilities. 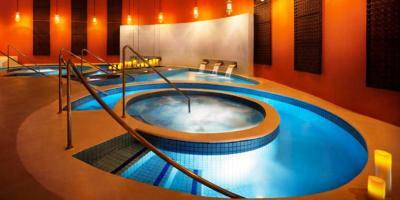 Excellent Spa, Gym and 2 nice tennis courts. Staff is kind and very efficient especially the butlers who takes care of you. Jamil, who was assigned to our family was just great. Thanks Jamil. Hotel perfeito. Fantástico! The best in the world! The basic staff personnel were fine, the personal assistant was non-existent, the management staff was atrocious, mean spirited, and callus. Booking.com was not honest in their advertising. We would not use them again. 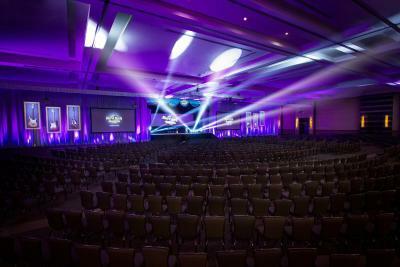 The hotel is amazingly HUGE! Very large bedroom, a lots of amenities, beverage and liquors in the bedroom, big TV (55") with a lot of cable channels, large jacuzzi, a lots of pools with wet deck bar, very good beach with a lot of bars, very good restaurants (no reservation needed if you go after 21:00h), lots of events (night and day) but most of them are with Caribbean songs, there is almost no rock n' roll :'(. 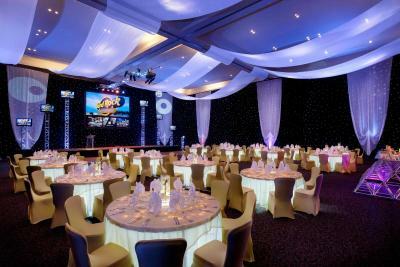 Except for the music played in pools, events, etc that really disappointed me, the hotel is really awesome! The bed was horrible. Me and my fiancé both woke up with back aches every morning. Very very disappointed with hard rock in this matter. 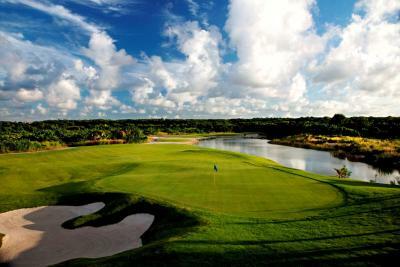 One of our top picks in Punta Cana.Overlooking one of Dominican Republic’s beaches, the family-friendly Hard Rock Hotel & Casino Punta Cana All Inclusive resort boasts the best casino around; nightlife entertainment, a Nicklaus designed golf course, and an astonishing full-service spa are also available. 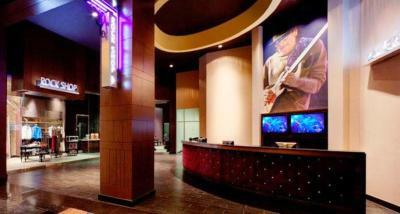 Luxurious and spacious guest suites include free wired and wireless internet, free streaming music channels and cable TV. 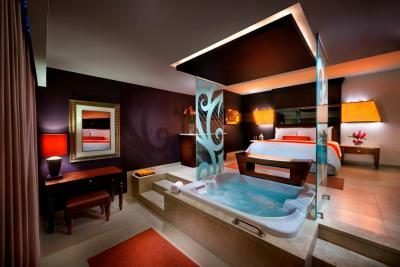 All of the suites at Hard Rock Hotel & Casino Punta Cana feature Hydro spa tubs, private balconies or patios, dual showers, plush bathrobes and slippers. A minibar fully stocked with soft drinks, bottled water, domestic beer and in-room liquor dispensers are some of the included amenities. 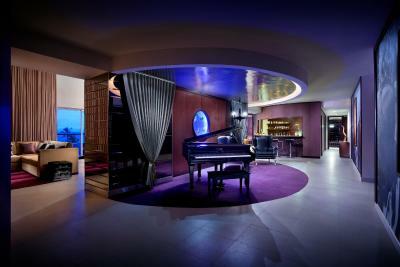 The suites also include flat-screen TVs and 24-hour room service is available. 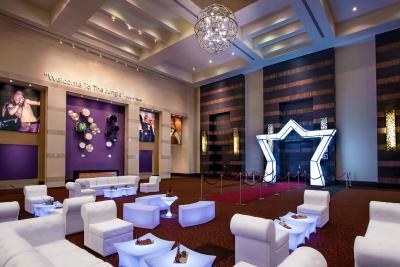 Hard Rock Hotel & Casino Punta Cana All Inclusive features an on-site kid’s club where children can enjoy an array of daily activities along their favorite characters. 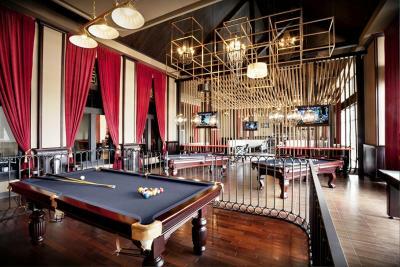 Family Friendly amenities also feature a Rock Star Mini Golf and Arcade Center with a wide selection of games and an Extreme Center including 2 tennis courts and climbing wall. 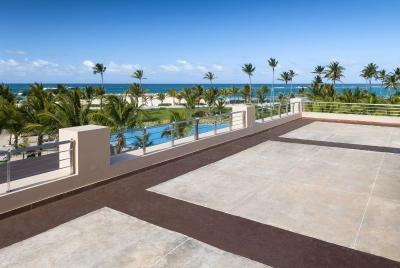 There is also a fitness center featuring state-of-the-art weight lift and training equipment, and 13 pools including 3 children`s’ pools, a lazy pool and an iconic adult’s only pool. 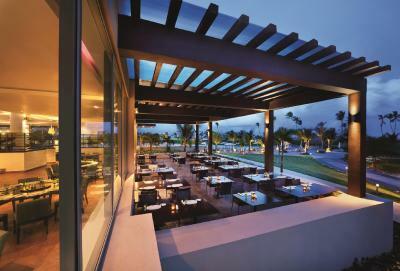 Guests at the resort can also enjoy a variety of international dining options along with 17 different bars and lounges. This Resort have received multiple awards like the World Travel Award in 2015, The Four Dimond Award, and the M&C Gold Key Award. 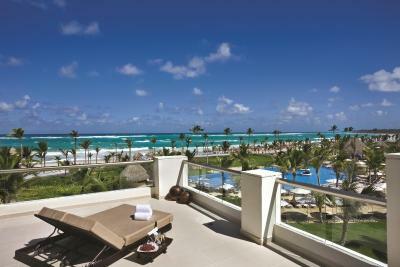 Bavaro is a great choice for travellers interested in excursions, sunbathing and water sports. 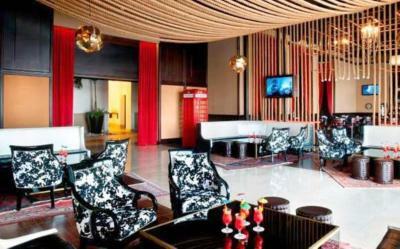 Hard Rock Hotel & Casino Punta Cana All Inclusive has been welcoming Booking.com guests since 8 Feb 2010. 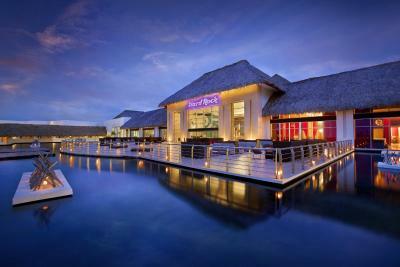 When would you like to stay at Hard Rock Hotel & Casino Punta Cana All Inclusive? 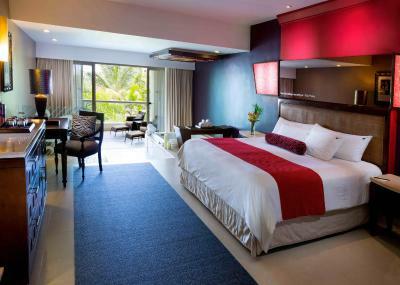 This suite features tropical views and it is located in close proximity to the main lobby. 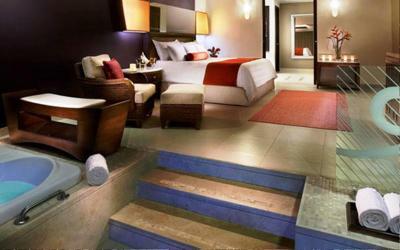 Suite is appointed with either one king-sized, or two double beds. 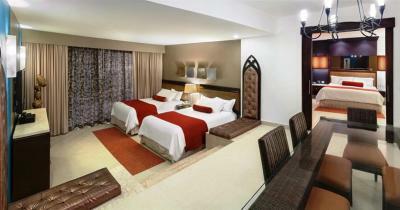 This suite is furnished with 1 king or 2 double beds and features a seating area. This room has a balcony and features the best location in the resort. 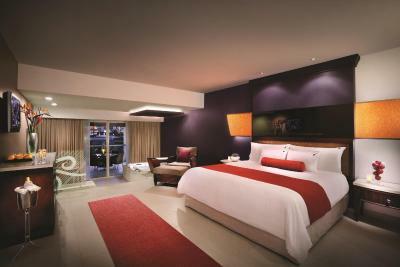 The suite is appointed with one king bed. Suite also features in-room, à-la-carte restaurant menu, exclusive concierge phone service, private check-in and check-out (subject to availability), aromatherapy and pillow menus, plus exclusive beach bag (one per room/per stay). 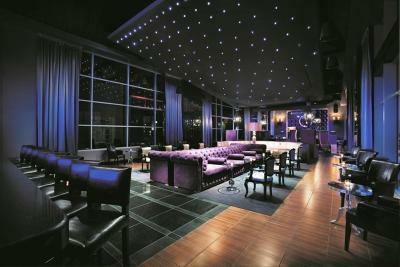 This astonishing suite has a spacious terrace with spectacular views where guests can lounge or dine. The suite is appointed with one bedroom with a king size bed and a second bedroom with two double beds with a living and dining areas. 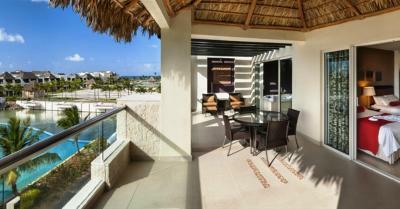 Spacious suite that has a balcony featuring tropical views. It is appointed with one master bedroom with a king size bed, an adjacent family room with two double beds, a dining room and an additional toilet. This suite also offers bathrobes & slippers for adults and children, children’s beach toys, Xbox 360 with a selection of DVD’s & Xbox games available upon request and complimentary mini cake when celebrating child’s birthday (upon request on arrival at Public Relations desk). Maximum occupancy is 6 guests. Limited to 4 adults. Available for families traveling with at least one child between 4 and 17 years of age. Please note the property reserves the right to modify the reservation to two rooms (subject to rate change) if there is not a child 17 or under present. 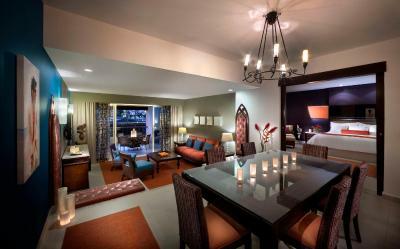 This elegant suite has a spacious terrace with spectacular views where guests can lounge or dine. 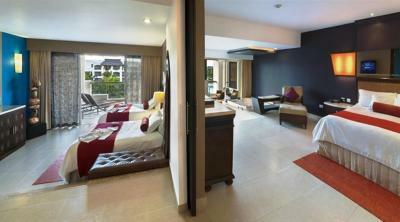 The suite is appointed with a king size bed, living area, dining room and an additional toilet. 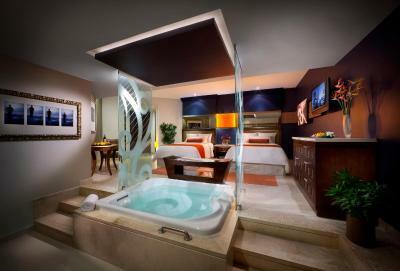 This suite features air conditioning, tile/marble floor and bathrobe. 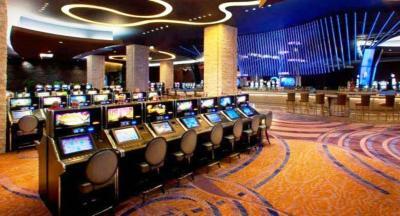 Thrilling gaming action in the biggest and best casino in the Caribbean, exhilarating nightlife, tantalizing culinary options, state-of-the-art meeting facilities and rooms worth tweeting about, all infused with our legendary rock and roll vibe? Delivered. This is Hard Rock after all. But were you expecting a mind blowing all-inclusive experience featuring 13 pools, 9 restaurants, a Nicklaus designed golf course, and an astonishing Spa Resort all lovingly cradled by the most pristine beaches in the Caribbean? Maybe not. But after 40 years of watching us leave the competition in our rear view mirror, maybe you should. 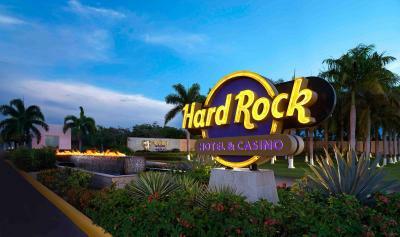 Welcome to the Hard Rock Hotel & Casino Punta Cana, it's time to See The Show. Property surroundings – This neighbourhood is a great choice for travellers interested in excursions, sunbathing and water sports – Check location Great location - show map Guests loved walking around the neighbourhood! 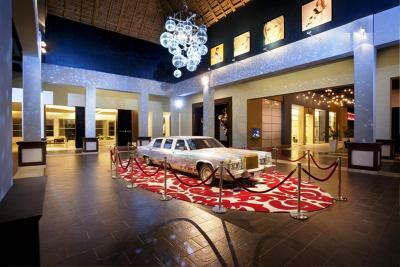 House rules Hard Rock Hotel & Casino Punta Cana All Inclusive takes special requests - add in the next step! 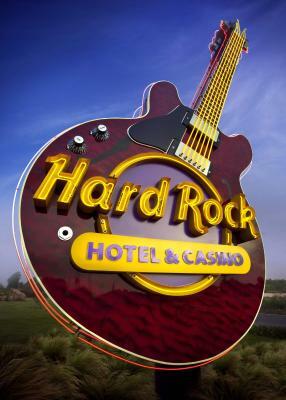 Hard Rock Hotel &amp; Casino Punta Cana All Inclusive accepts these cards and reserves the right to temporarily hold an amount prior to arrival. 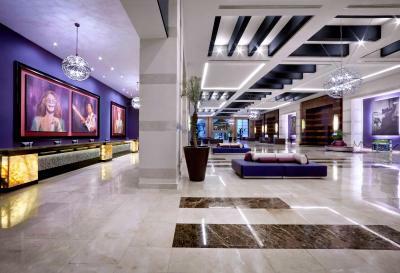 Hard Rock Hotel & Casino Punta Cana All Inclusive accepts these cards and reserves the right to temporarily hold an amount prior to arrival. Hotel requires a $200 USD security deposit per room per night at check-in, refunded at check-out in case there are no incidentals. Not a place I would recommend for spring break. Had to wait for drinks too long no matter were you went. Very disappointed in the food, we traveled with 50 people. More then half have been sick with GI issues. For the Hard Rock being a more expensive resort, they didn’t have the greatest liquor selection and only had 1 type of beer. The food was good and I loved the little bakery in the main building for my morning and evening coffee! Noisy neighbors at night. The rooms were only separated by a door that allowed all the noise in. no instructions as to where breakfast was. Had we not found it ourselves, we would have had no idea. Nothing was explained about resort credit and had no idea how it was used. Everything was amazing. 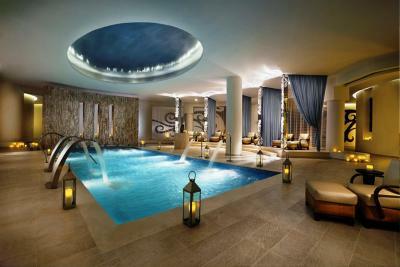 From the food, to the pools, and spectacular massage!!! 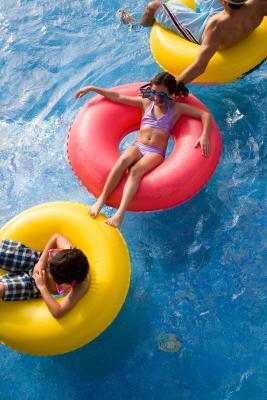 Staff was horrible, building needs major maintenance, time share pressure is irritating, pool needs to be cleaned, chairs at pool side are cheap, and towels at pool side are also old and faded. Ice cream bar! Everything else is below average! The food wasn't the best quality because it's mostly canned or frozen even in the restaurants where you have to make a reservation. You have to scout out the different bars to find the best quality of liquor. The elevator in the building I stayed in was out of service for most of my stay so I had to go up and down 3 flights of stairs the whole time. 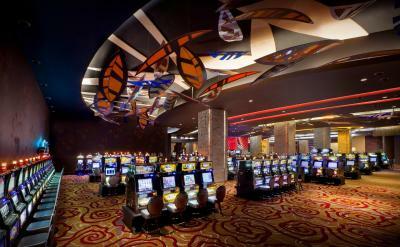 Facilities and amenities are incredible! The room had a nice bathtub and shower. Most of the trip, I didn't even want to leave the room. The balcony had a great view. The internet was not good in the room. I liked how there was always entertainment. For example: the Michel Jackson show. I also liked the inside of the hotel. The food in the restaurants was very average and sometimes bad. The service wasnt that great. Staff is awesome. Food is very good. Something for everyone. When it comes to the staff, you could really see the difference in how they treated Dominicans and other tourists. During the time of my stay, I didn’t see any other Dominicans besides my friend and I. I live in the US but I tried to be friendly and show how proud I am to be Dominican, this is a no no at Hard Rock. They will surely treat none Dominicans better. I paid for a suite Caribbean junior double, with 2 beds. I had to wait over an hour for my room, when I got it, it only had 1 bed. After that (over 2 hours of the checking time), they gave me a better room closer to the beach, which I appreciate and thank Alexander a lot for that, but still gave me only 1 bed. After I called, they gave me a small extra bed. The issue got resolved, but it took me a lot of calls, walking to the lobby and wasting the main part of day 1. The room was clean, the cleaning lady always made sure we had clean towels. The AC was great! I liked that the room we got at last was close to the beach. A lot of staff at the hotel is not willing to help when you ask a question or is not well trained. Too many times the staff would be dismissive. On 2/17- I asked an employee in a golf cart if he knew where I was getting picked up to be taken to main lobby, the employee while still on his phone asked me if I was talking to him. After I asked him again he said: “I’m surprised the front desk told u they would pick u up” I disliked this answer because to me this didn’t matter. It was my boyfriend’s bday and we were heading to dinner. He could’ve told me were should I wait or simply taken me because he wasn’t doing anything. 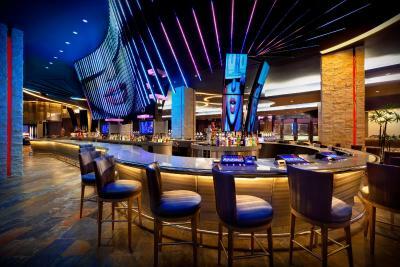 Another bad experience was 2/19- The hostess at the Ciao restaurant was extremely reluctant to get me a table. I knew it was prime time and I had called the front desk for reservations and I understood the time frame for it was over. However, she could’ve conducted herself on a nicer way. I liked the treatment at Monserrat Restaurant in the casino way better. I don’t care if I had to pay extra... I rather get better treatment which is why next time I’m going to another hotel. This was my second time here and not coming back. The best all inclusive ever. Pool party everyday. Love shows everyday. Michael Jackson show was unbelievable.